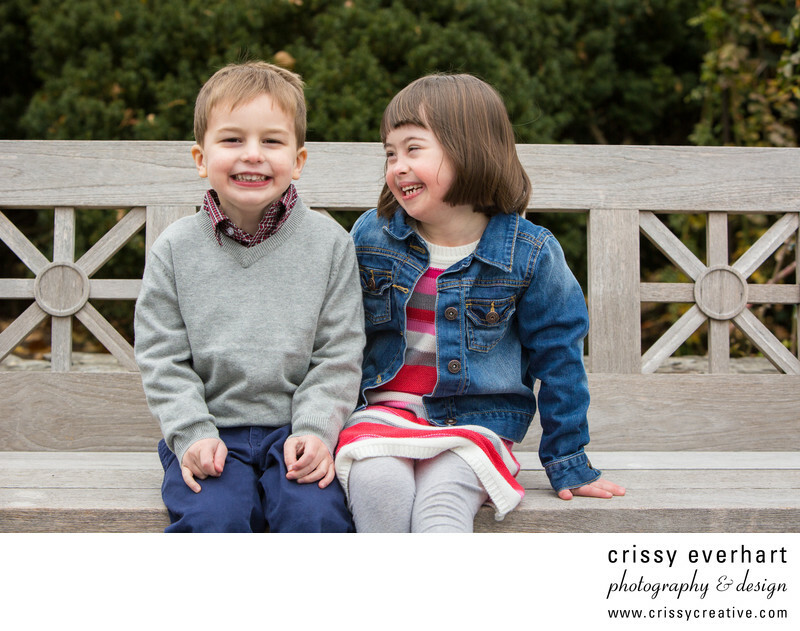 I love this photo of these two siblings, almost two years apart, sitting on a bench at Longwood Gardens. The big sister looks at her little brother and giggles, as he puts on a big smile for the camera. I love these moments between siblings!